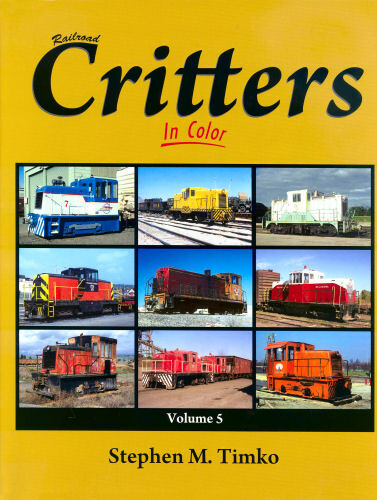 Railroad Critters in Color, Volume 5 - Volume 5 ﻿continues with coverage of the minority builders such as Atlas, Davenport, Plymouth, Porter, Vulcan, and others while also including industrial-type locomotives built by Baldwin, EMD, and GE. Volume 5 includes over 330 new photos from various photographers who specialized in the industrial operations. Hard cover.